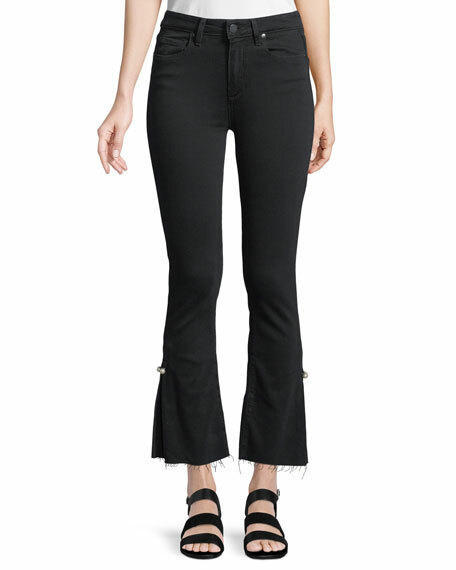 PAIGE "Colette" jeans in 11.25-ounce Transcend denim. Approx. measurements: 10" rise; 26.5" inseam; 16.5" leg opening. 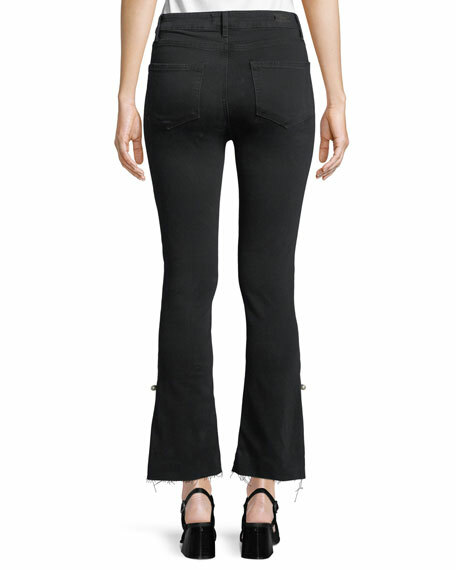 TRANSCEND soft denim with stretch that molds to the body. Slim legs flare at calf. For in-store inquiries, use sku #2456554.